We all know the biological reason we age and die. Our bodies break down and are discarded like an old car or a worn-out pair of jeans. No one escapes the ravages of time. Or do they? 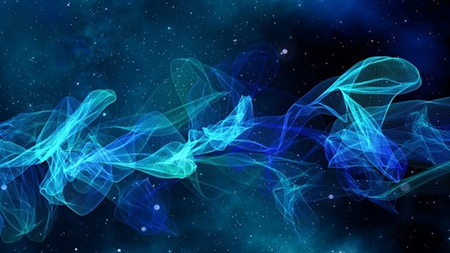 The big question is why is the universe this way to begin with? Of all of the possible ways the universe could be structured, why are the laws of nature the way they are? Why do things become less ordered (second law of thermodynamics), rather than more ordered? Why do systems deteriorate — and life die — rather than stay the same? Equally relevant, is the question of why out of all of existence — out of everything possible in the universe — all you get to be is, say, a plumber or a hairdresser. And that’s it! — followed by nothingness for the rest of eternity. You’ll never get to travel in a spaceship to distant stars, or to live in a world without cancer or war. Scientists say it’s all an accident. If you’re dealt a bad hand, oh well, it’s just tough luck. You’ll die soon enough. Our inability to comprehend the true nature of life shouldn’t come as a surprise, considering our DNA differs from apes and monkeys by less than 2 percent. We primates — whether scientist or macaque — have significant cognitive limitations. Like a mouse or a gerbil, we open our eyes and the world — as if by magic — is just there. We think it’s a thing, a hard object. But this is inconsistent with hundreds of experiments carried out in the last century. Reality is observer-determined — it’s a spatio-temporal process, which fortunately, means that things must change. Could you imagine always and forever being a toddler? Diapers and lollipops would grow tiresome. Or forever being a senior? The laws of nature are structured so that we grow and change, and get to experience the full spectrum of biological existence. Fortunately, there is more. In Immanuel Kant’s “Critique of Pure Reason,” the great philosopher explained how space and time are forms of human intuition. Indeed, everything you see and experience is information in your mind. If space and time are tools of the mind, then we shouldn’t be surprised that at death there’s a break in the connection of time and place. Without consciousness, space and time are meaningless; in reality we can take any time — or any spatial plane — and estimate everything against this new frame of reference. Death is simply a break in our linear stream of consciousness. Indeed, biocentrism suggests it’s a manifold to all dimensional potentialities (see “What Happens When You Die?”). Time is the inner sense that animates existence, not just our thoughts and feelings, but the spatial representations we experience from birth until death. It’s just the way we connect things, not an invisible, continuous matrix with people and particles bouncing around in it. Consciousness isn’t created or destroyed — it only changes forms. It’s like a bubble machine that creates spheres — spheres of space and time, which we carry around with us like turtles with shells. Physics tells us observations can’t be predicted absolutely. Rather, there’s a range of possible observations each with a different probability. According to one interpretation, each of these possible observations corresponds to a different universe (the “multiverse”). 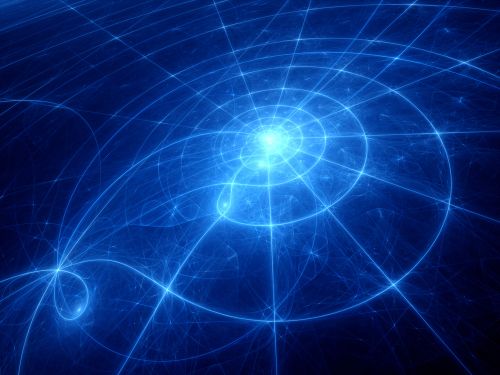 There are an infinite number of universes (including our own) that comprise everything that can possibly happen. Thus, death doesn’t exist in any real sense, since all possible universes exist simultaneously regardless of what happens in any of them. True, you age and die, but there are always bubbles (universes) spanning the breadth of eternity. Some may not travel very far, but others will float off into the horizon. Perhaps you’ll get that space-trip to the stars after all. 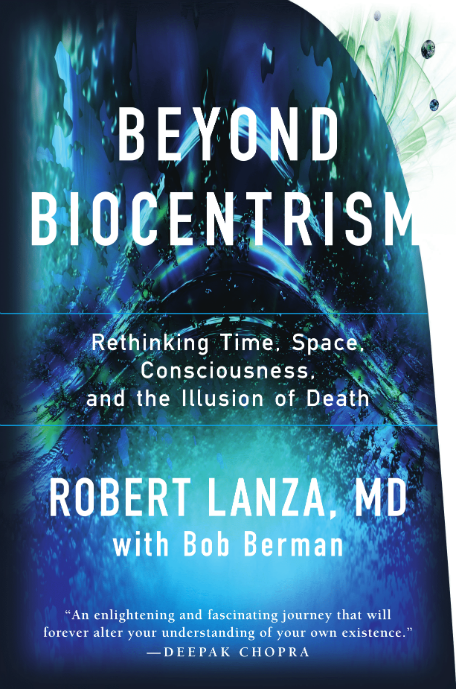 Robert Lanza has over two dozen scientific books, including Biocentrism, which lays out his theory of everything. You can learn more about his work at www.robertlanza.com.